Alberta's national parks are home to jagged mountain ranges, pristine glacial lakes, and evergreen forests. For the average outdoor enthusiast, the Canadian province of Alberta is heaven. Alberta isn’t short on beautiful places to explore, boasting over 75 national or provincial parks. Around every turn, there’s a car with a kayak or a set of mountain bikes strapped onto it. People from the nearby cities of Calgary and Edmonton flock to the provincial and national parks in Alberta on the weekends for fresh air and incredible scenery. Alberta is home to five national parks. In addition to the snowy peaks of the Canadian Rockies, these national parks are also home to diverse wildlife, dark skies, and thick forests. There are also hundreds of kilometers of highways where visitors can drive through some of the most spectacular landscapes in the world. Read on to learn about what makes each of Canada’s five national parks so unique. As the most popular national park in Canada, Banff attracted over 4 million visitors in 2016. Don’t let this huge number dissuade you – there’s still plenty of open space within the park to explore. Some of the most popular areas of the park include Lake Louise, Johnston Canyon, and Moraine Lake. There are also a few alpine teahouses tourists can hike to in the Lake Louise area, which offer sweet rewards for a long uphill climb. If you’re looking for a bit more solitude, there are over 1,600 kilometers of hiking trails in the park, including backcountry camping areas. For some longer, more difficult hikes, try the Corey Pass or Bourgeau Lake & Harvey Pass. Or, if you’re looking for something new, you can head to nearby Yoho National Park for a day hike on the Iceline Trail. Located next to Banff is its northern neighbor, Jasper National Park. The drive in between Banff and Jasper is called the Icefields Parkway, and it is one of the most breathtaking highway drives in the world. With towering glaciers around every set of switchbacks, it’s a feast for the eyes. Upon arriving in Jasper, the presence of beautiful glaciers continues on. 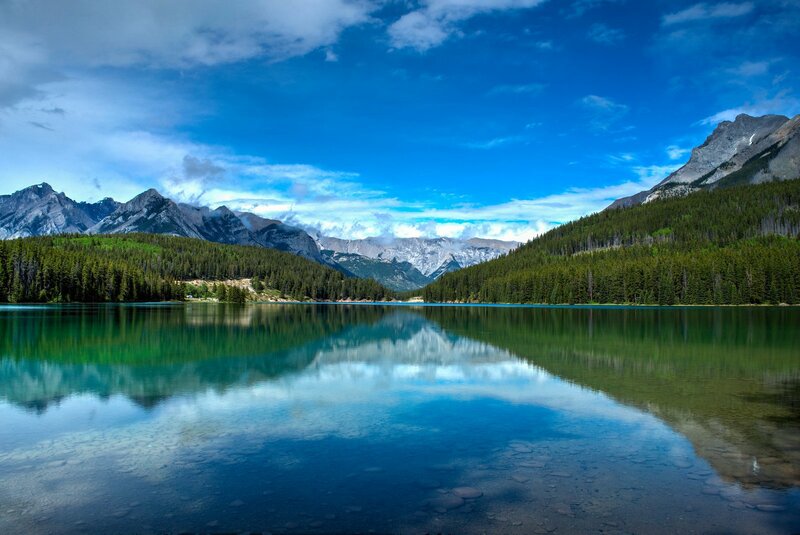 Stunning teal lakes like Maligne Lake offer pristine getaways for kayakers, while amazing backcountry treks like the Skyline Trail capture the hearts of backpacking enthusiasts. Each year, Jasper hosts the Dark Sky Festival, which features talks from scientists, musical performances, and some of the least light pollution in Canada. If you’re looking for an accessible getaway home to some of Canada’s most incredible wildlife, look no further. 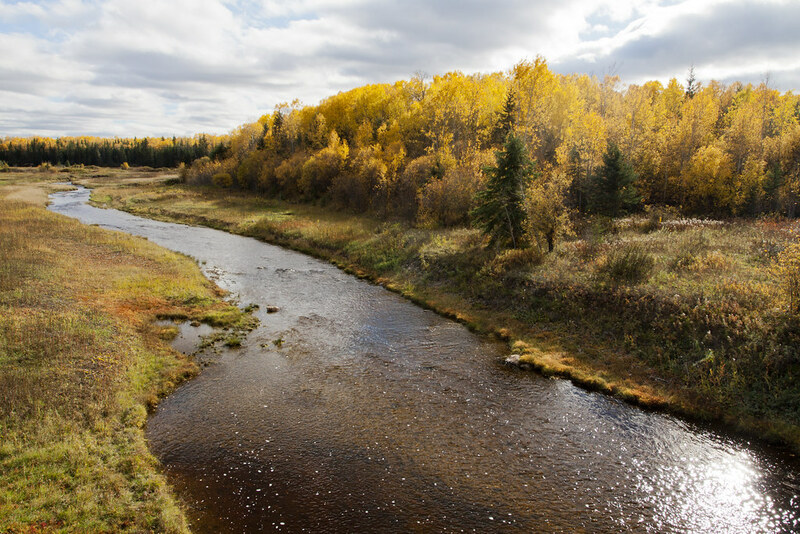 In Elk Island National Park, visitors have the chance of sighting birds, elk, coyotes, and more. You can also see the plains bison, which was saved from endangerment in this area. For the wildlife lover, Elk Island is a fantastic place to spend some time. Located just one hour away from Edmonton, it’s a great option for people looking for a weekend away. With several lake areas, there are many options for outdoor recreation, such as kayaking and canoeing. In the winter, there’s even a lake area that gets converted into an outdoor ice rink. 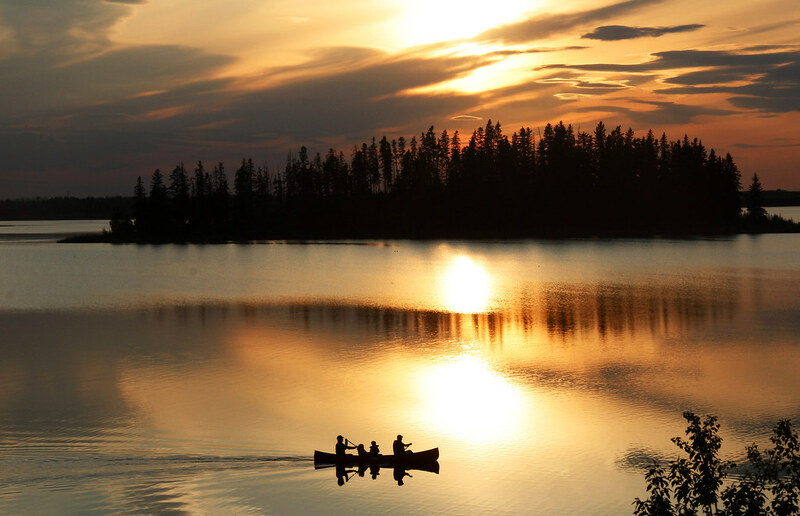 As Canada’s largest national park, Wood Buffalo has no shortage of adventures. This national park has also been deemed a UNESCO World Heritage Site. Home to the rare whooping crane, as well as several other species of birds, this park is a birder’s playground. The park is also home to the world’s largest wood bison population, from which the park derives its name. While in Wood Buffalo, visitors can take a trip through the salt plains or take a guided canoe trip. Animal lovers can check out the Peace-Athabasca Delta to search observe different species and animal activity. This expanse of marshy land offers the perfect platform to explore some of Canada’s most interesting species. Waterton Lakes is special because it’s the Canadian sibling of one of the US’s beloved parks – Glacier National Park in Montana. Home to the Triple Crown hiking circuits, as well as a lovely lake in the valley, Waterton Lakes has so much to see and do. In the fall, many of the trees in Waterton Lakes change colors, unlike the evergreen forests of Banff and Jasper. A trip to Waterton Lakes can be coupled with a jaunt down to Glacier National Park, but is just as wonderful on its own. If you do decide to head to Glacier, the Highline Trail is a spectacular one to enjoy sweeping views of the American side of the park. Enjoy some of the views around the lake, or learn more about the ancient glaciers that created these dramatic valleys.